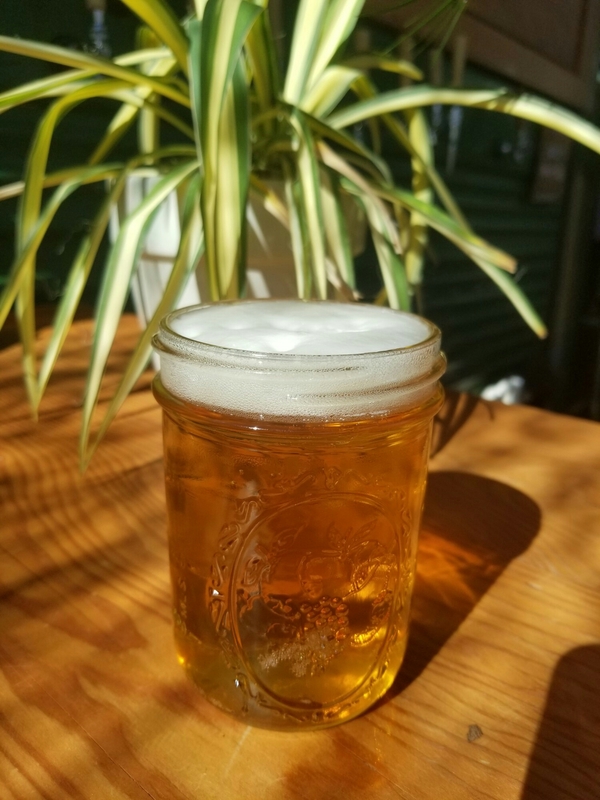 Written by Ashley Nulph, tasting room server at The Rare Barrel and recipient of the 2018 Oregon State University Origins of Beer Flavors and Styles scholarship. Beer is made with water, hops, malt, and yeast. It’s likely that you know what kinds of beer you like to drink but do you know how to communicate that to someone else? Perhaps you are at an event or visiting a friendly local brewery and taste a beer. Someone asks what you think of it. There are no off flavors or anything discernibly wrong with the beer. You want to come back with a witty and helpful response; you want to show your knowledge of beer but don’t taste anything that stands out to you. “It’s good,” of course, isn’t specific at all. You have some of the vocabulary but not the developed palate to give more useful or detailed information that, in this case, would show you really know your stuff. We can all look, smell, and taste any sample of beer we’re given but how do we delve deeper into its flavor profile? It is important to remind ourselves that sensory evaluation is a learned skill and a great way to learn is by tasting. What should you do if you want to give yourself a bit or training without anyone else being involved or pace yourself through the training of your palate? One thing you can do quite easily without having to purchase any special equipment or products is to have several side by side beer comparisons. All these tastings require are off-the-shelf and readily available prepackaged domestic and international beers. Having them side by side in the privacy of your own home allows you to take time to evaluate specific flavors or isolate particular traits to hone in on them (such as bitterness) and also to take notes in your comparisons. You can do this with similar beers to really get a grasp on the expectations for a specific style or beers with one major difference to attempt to isolate it. Examples of this are beers of the same style with similar ABV and different IBUs, beers of the same style with similar IBUs and different ABV (this can be done with a DIPA versus IPA in many cases), beers of the same style one with adjuncts and one without, etc. 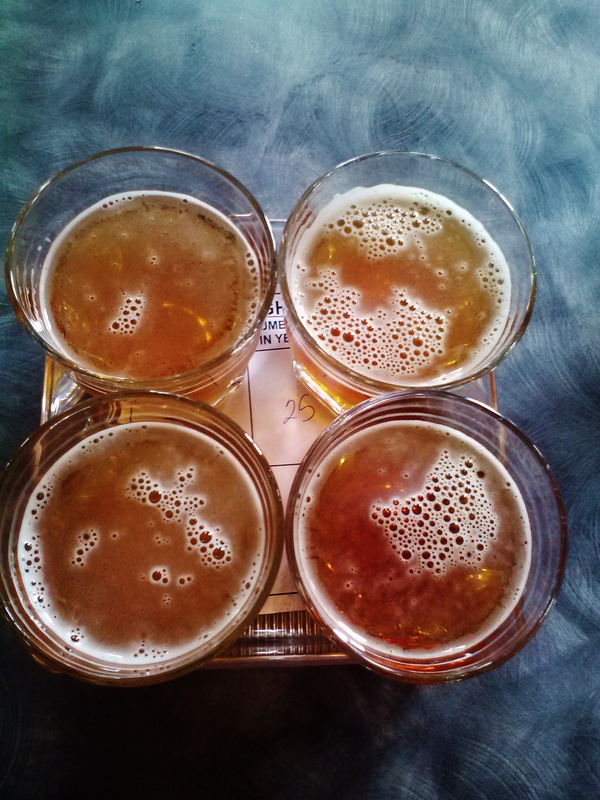 Here are 3 examples of tastings or pairings. For tasting or comparisons where the beers are the same style with similar specifications, they are expected to be similar and representative of a style. For these you may choose to buy one or both with the goal to pick a beer(s) representative of the style and take notes on what you taste. Getting a beer(s) that is basic without unusual hops or adjuncts is important. Getting a beer that is readily available and not specific to one season can also be helpful especially if you want to replicate this or have a friend do it and compare notes, but is not required at all. For pairings where you want a comparison, you can also look at the specs on a beer and find two that are similar in all aspects but one. By isolating for one factor (ABV, malt, IBUs, hops, etc), you give yourself a chance to focus on that and better understand the differences. ABV and IBU. This information should be reported for most breweries on their own websitess along with style, description, malt bill, hops used, availability and other information. While these things can change batch by batch, if you cannot find this information on the brewery page or need a quick reference, Rate Beer is a good site where you can get basic information about a beer such as its ABV and IBU. It may also give you information on where to buy a beer if you want to purchase one of the beers listed below and you do not find it at a local store. The beers below are readily available at grocery stores in California and the Pacific Northwest. In the case you wanted to do one of these comparisons and could not find the listed beers, you could use Rate Beer or brewery websites to look up the specifics on the bottled beer that is available and pick a beer with similar make-up to conduct the same taste comparisons with a replacement beer. What is IBU? IBU stands for international bitterness unit and is the scale that measures the hop-derived acid isohumulone that gives beer its bitter flavor. IBUs are not something most people can identify easily but it is important to understand what this contributes to beer. One’s understanding of IBUs can differ by style and malt bill. One of the best ways I’ve found to understand IBU ratings is to taste otherwise similar beers (same style, color, similar ABV) with more than as high of a point distinction in IBUs as possible. There are arguments that IBUs don’t give us an awful lot of information about a beer in this climate but since it is one of the only pieces of information given beyond ABV, style, and a brief description on many websites, menus or labels; it is important to try to understand how your own palate interprets isohumulone for your own understanding of the IBU rating on a beer. Bitterness is often something that people associate with IPAs and hoppy beers and not with darks which is why I think this is a fun sampling to do first. In these cases, the malt character effectively hides a large amount of the bitter bite one would expect from such high IBUs. An imperial stout with 75 IBUs, therefore, will taste much less bitter than an IPA with the same. The human palate can only distinguish up to about 110 IBUs so the beers we are sampling will be in this range. IBUs vary from batch to batch and even for the tastings below, are reportedly differently on the brewery websites, Rate Beer, and other tasting sites. Every attempt has been made to use the current numbers from the brewery when available. In cases of great difference, it is important to taste the beer with lower IBUs first as your palate can become accustomed to it. In this case, if drinking both, it will not matter. In both of these cases, the beer will have a roasty depth and similar dark color. Both are California brewed and have wide commercial distribution. The brewing date on these beers shouldn’t matter too much for our purposes. If both are available to you, I urge you to buy both. If not, one or one and a similar beer from your region will suffice. Make notes about your impressions of the Imperial Stout style. What do you taste in the beer(s)? Which adjectives or descriptors would you use? Do you find there to be a bitterness on your palate? If you struggle with tasting bitterness, do not worry. There is an opportunity to do another bitterness test using IPAs which will be more noticeable to most. Also, if you taste one of these beers several months or a year from now having worked on your sensory evaluation skills, you will likely fare better in identifying the bitterness. In either of these cases, the beer will have a hop forward flavor and mid-golden color. Both are Pacific Northwest brewed and have wide commercial distribution. The brewing date on these beers should be as close to today as possible and ideally not more than a month old if bottles are date stamped. If both are available to you, I urge you to buy both. If not, one or one and a similar beer from your region will suffice. Note: In my opinion, both of these beers should be considered Double India Pale Ales (DIPA) or Imperial India Pale Ales (IIPA) based on their ABV despite the labeling of Space Dust simply as IPA. Like above, take notes. Ask yourself what you taste in the beer(s), and which adjectives or descriptors would you use. Do you find there to be a bitterness on your palate? Is it much more pronounced for you than above? If you happen to chose to do style tastings 1 and 2 in the same night, you can also taste them against each other. The variation in bitterness perceived by the tongue between one of the Imperial Stouts and one of the Imperial IPAs can actually be great despite the fact that the greatest IBU variation between these 4 beers is no more than 12 IBUs (a difference you are very unlikely to be able to taste). In both of these cases, the beer will have a slight sweet, non-hoppy flavor and light-golden color. Compared to the other samples, you will not likely be able to discern any bitterness at all. One beer is Pacific Northwest brewed and the other is brewed in Germany but both have wide commercial distribution. The brewing date on these beers does not matter as much as for an IPA and does not warrant concern. If both beers are not available to you, purchase the one beer that is available to you and complete this as a style tasting like numbers 1 and 2 above. Smell these beers before you taste them. What scents do you detect? Phenol off flavor (POF) is a banana or clove aroma. It is called an off flavor because it is generally not desired in the final beer product. However, in a German style wheat beer, this flavor is considered acceptable and even desired by some. These two hefeweizens are both classic examples of the style while one has the POF and the other does not. This is by design and each brewery either has or does not have the aroma as a deliberate decision about what the style means to them. Can you identify which beer has the banana and clove aromas and which does not? What do you taste in the beers? Which adjectives or descriptors would you use? Other than this, would you make any other distinction between the two? What about hops? You cannot taste them. You can smash and rub cones or pellets and smell them but that will only get you so far. One method to getting more familiar with hops is to seek out SMASH (single malt single hop) beers. These beers have become much more popular lately with some breweries even doing SMASH series that focus on different malts. SMASH beers offer the opportunity to hone in on the manifestation of individual strains of hops in the final beer. You can ask at your local brewery if they have any SMASH beers or know of anyone local who does. You can also consult the list here https://www.ratebeer.com/tag/smash/ or talk to a friend who brews about completing one of the recipes from the Homebrewers Association. 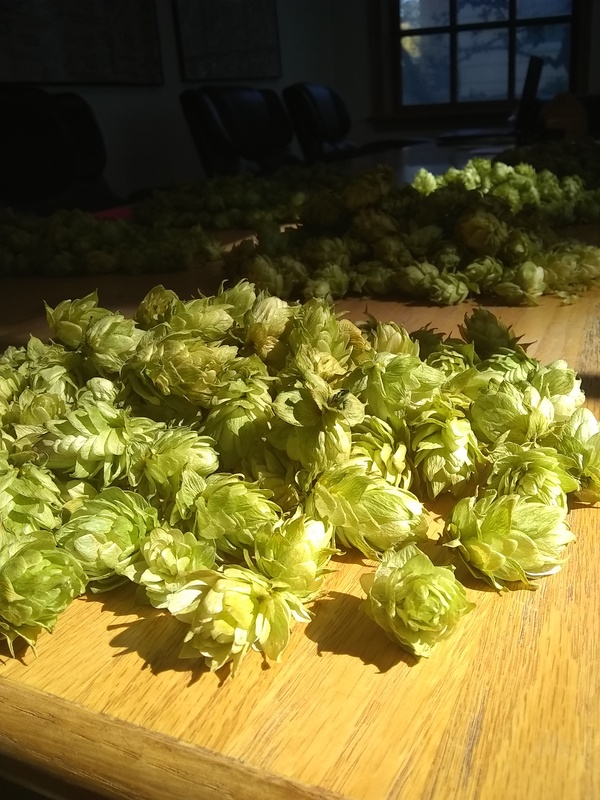 Hopefully you can find some good examples that give you an idea more about specific hop strains!